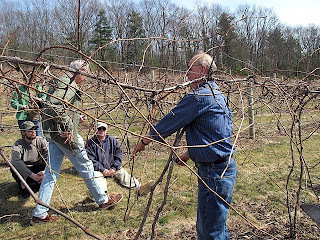 Yesterday, I spent the day at the University of Massachusetts' Cold Spring Orchard in Belchertown, MA for a course in growing and pruning grapes as part of their "Aggie Seminar" series. The course was taught by Dr. Duane Greene who did a very nice job. Wow, what a great time! First, we (about 20 aspiring grape growers) spent 3 hours in the classroom learning about important aspects of grape growing. 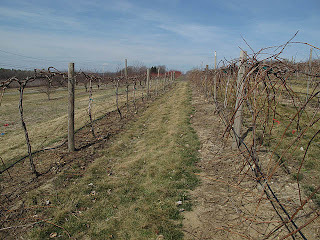 After lunch we went out into the vineyard where they are growing several varieties of vinifera grapes quite successfully and learned about the art/science of pruning. 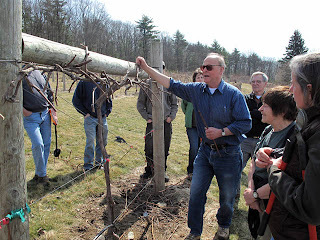 After a lesson, we all broke out the pruning clippers and practiced with Dr. Greene's advice. 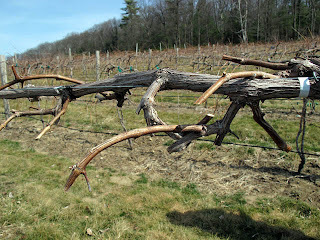 I feel much more comfortable pruning grape vines. 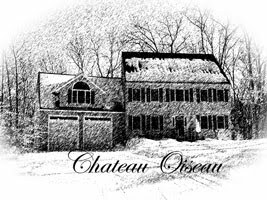 So in another year when my vines reach the size to be pruned, I'll know what I'm doing!